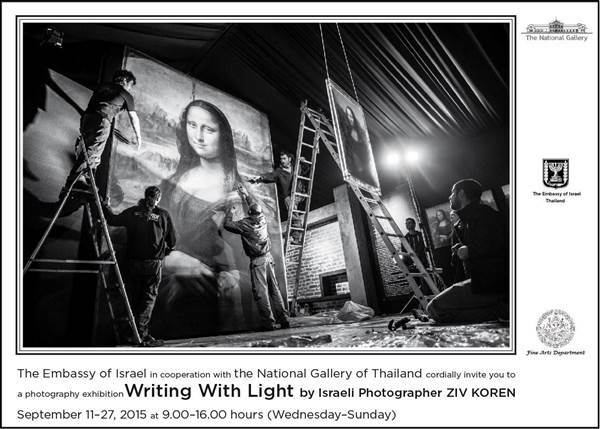 The Embassy of Israel in cooperation with the National Gallery of Thailand are delighted to invite you to a photography exhibition “Writing With Light” by Israeli Photographer Ziv Koren at the National Gallery of Thailand. "Writing With Light" is his 14th book features a collection of all black-and-white photos, dealing with the concept of work in light. This moving and challenging collection portrays the many ways, in which Ziv has experienced humanitarian subjects and conflicts.